A meticulously designed new extension to Mortlake House in Chiswick, providing eight bespoke apartments, with attention to detail in all areas of the development, and terraces for the penthouse units. Located on Chiswick High Road, within close proximity to restaurants, boutiques and cafes. Chiswick has many parks, excellent transport links and a colourful cosmopolitan feel to it. 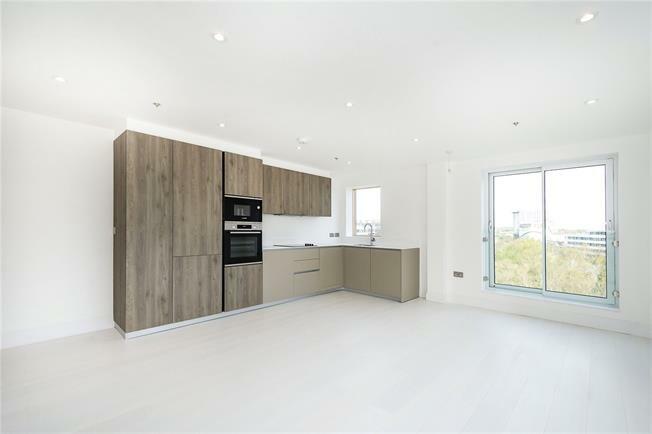 This lovely 1 bedroom apartment is located on the sixth floor of the building offering open plan kitchen/living area and a double bedroom with ample storage space. Apartment is ready for occupation. Photos are of another scheme by same developer.